Why do some people fall away from the faith that they were given in their baptism? We’re not talking about why some people who were confirmed in the Lutheran Church became Catholics or Methodists or some other denomination of Christian. We’re talking about those who were Christians, who considered Jesus Christ to be “the way and the truth and the life,” who put their trust and confidence for their salvation in His forgiveness and grace alone, who tried to live ‘God-pleasing lives.’ Why did they quit running the race? Why do they now live as though Jesus Christ and His cross have no bearing on their life? –	Or maybe there was a tragedy or bitter disappointment in their life and they blamed God for it and concluded that if that’s the way God treats His people, who needs Him. How many more scenarios could we add if we had the time? I hate to do this, but it’s necessary to do a little ‘word study’ here to get at what Jesus is talking about here. Jesus says “temptations to sin are bound to come.” There are several words for ‘sin’ in the language of the New Testament but the one that Jesus uses here is “skandalon.” It’s the word that we get “scandal” from. A “skandalon” is a stick that is laid across a path for the purpose of causing someone to stumble and fall. And the ‘disciples’ of Jesus are bound to trip and stumble and even fall over them. 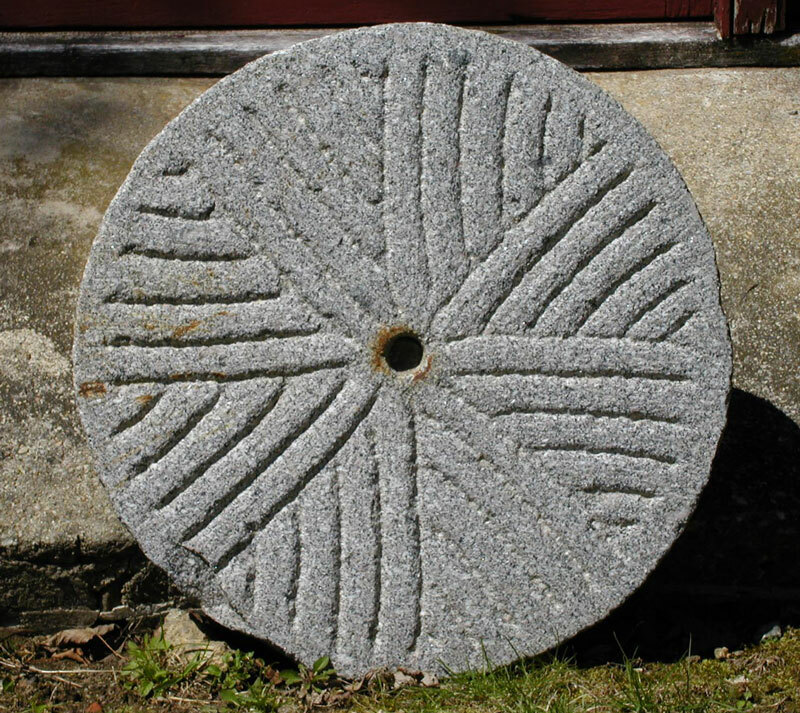 To have a millstone hung on your neck and be thrown in to the sea, sounds like a pretty terrible way to go, but Jesus says that as terrible as that might be “it would be better” than what awaits the one who causes a ‘scandal’ for one of His believers. He knows every ‘little one’ by name and each one is precious and loved and not one is expendable. “Pay attention to yourselves!” he says to them. “Be alert and on guard” so that you do not trip and stumble and fall from the ‘one, true faith.’ It can happen. The devil is crafty. If you see your brother or sister in the faith wandering away or tempted to sin or living in sin – don’t just ignore it. Or even worse, don’t agree with it and commend it as though that were the ‘enlightened’ or ‘open-minded’ or ‘cool’ thing to do. How easily the sin of another can pierce our own heart like a poisoned dart. And the venom spreads it’s toxins of anger and resentment and bitterness and that ‘dividing wall of hostility’ goes up and the communication is cut off and where there was once ‘rebuking’ now there’s silence and before you know it, the whole thing has become a ‘skandalon’ FOR YOU and you’re stumbling and falling because your brother or sister has sinned against YOU. But what if your brother or sister who has “sinned against you” repents and says, ‘I’m sorry’ and amends their sinful ways and says, ‘will you forgive me?’ And it’s not easy because what you really want is JUSTICE, but you say, ‘I forgive you,’ and it’s like the weight of a millstone is lifted from your neck and the skies clear and “how good and pleasant it is when brothers dwell together in unity.” (Ps.133:1). But then your brother or sister does the same thing to YOU again. And you “rebuke him” again and again he says, “I’m sorry” and you forgive and it happens again and again and again… And how long must I forgive my brother before I can’t forgive anymore and because I want JUSTICE? And what if your brother or sister in Christ sins against YOU, AND DOESN’T REPENT? You ‘rebuked’ him and he wouldn’t listen. Or you didn’t ‘rebuke’ him and tell him how much he has hurt you, but any either case, there is no repentance. Is it okay to bear that grudge against my brother or sister until JUSTICE is finally done and they’re fitted with a stone collar for causing me to ‘stumble’ and ‘fall’ because I won’t forgive? ‘Temptations to sin are bound to come…” There’s no escaping them. Jesus says, “you must forgive him.” If he repents you must forgive him because if you do not you may well cause HIM to stumble and fall from faith. And if he doesn’t repent, you must still forgive him and let go of the anger and the demand for justice, because if you do not it may well cause YOU to stumble and fall from faith. And we know that Jesus’ words have not fallen on deaf ears, because “the Apostles said to the Lord, ‘Increase our faith!’” They knew that what Jesus was demanding of them was too hard for them, and so do you. The hurt, the anger, the disappointment is too hard to let go of without any justice or satisfaction in return – WHICH IS WHAT FORGIVENESS IS. The Apostles ask for a stronger faith and Jesus tells them about mustard seeds and mulberry trees. What’s up with that? Because you know Jesus is not talking about seeds and trees. Jesus compares ‘faith’ to a mustard seed, which is a very small seed, not like a sunflower seed or bean seed or avocado seed. How much ‘faith’ do you have to have to ‘forgive’? How big does your faith have to be to throw that “skandalon” over the cliff so that neither you nor your brother or sister who has sinned against you stumbles or falls over it? The Apostles think that they need a ‘great big faith’ to do what Jesus is telling them to do. But it’s not our faith or the size of our faith that is the key here. –	Even the tiniest spec of faith that clings to Jesus Christ has got all of Jesus Christ in whom the fullness of the deity dwells. –	Even faith the size of a grain of mustard seed receives the entire Jesus Christ in whom all of the justice for every sin committed AGAINST YOU has been carried out, and all of the justice for every sin you have committed against your brother or sister has been carried out in full. –	Just as the tiniest piece of bread with the tiniest speck of faith receives the whole Christ. And the smallest sip of wine with the smallest faith receives the whole Christ. The size of our faith is not what we put our hope or trust in, but the size of Jesus Christ who is ‘all in all;’ and the size of the love of God in Jesus Christ FOR YOU; and the size of those wounds in His hands and feet and side that were opened by the JUSTICE OF GOD for all the sin that you have committed against your brother and sister, and all the sin that your brother and sister has committed against you. A Mulberry tree is known for having deep roots that anchors it solidly to the ground. Unlike Birches and Pines that have shallow roots and are easily uprooted, Mulberry trees are hard to uproot. Jesus is comparing a Mulberry tree to that DEEP-ROOTED ‘hurt’ and ‘disappointment’ and ‘anger’ because a brother or sister has sinned against us that is not easily uprooted and forgiven. He’s comparing a Mulberry tree to that DEEP-ROOTED ‘guilt’ and ‘shame’ and ‘disappointment’ with ourselves because of our sin against another that is not easily uprooted and forgiven. the guilt and anger and disappointment and hurt is uprooted and thrown into the sea. And you are forgiven all of your sins. And you are able to forgive your brother or sister and YOURSELF, and let go of that stumbling stick and get on with being a disciple of Jesus. If ever there was a tree with deep roots, it was the tree of the cross, whose roots reached down through all of time and history all the way into that garden where the serpent caused the woman and the man to stumble and fall. By the ‘tree of the cross,’ “every temptation to sin” has been answered with Jesus’ REBUKE – “it is finished.” And on the 3rd day, every millstone that was fitted for our neck was removed and placed on the neck of Satan and he was cast into the sea. “Temptations to sin are sure to come…” But just as surely, a day is coming when every temptation to sin will be gone. And every ‘skandalon’ will be removed, and there will be no “temptations to sin” and no more falling, only rising and rising and rising, and meeting the Lord, and welcomed home, and perfectly reconciled to every brother and sister, and to the Father of our Lord Jesus Christ.